A common request from parents, regardless of the initial referral reason, is for us to assess their child's pencil grasp. From a very early age, most children show an interest in scribbling with crayons, biros they've found lying around, and lipstick tubes! As a child's pencil control improves, they are able to start drawing recognisable shapes and at around school age, are able to form letters and numbers. Developing a good pencil grasp is essential to mastering writing skills and is crucial to legible letter and number formation. As each school year goes by, children are asked to write sentences and then paragraphs, and the amount of time spent on writing tasks increases. If the child has developed a poor pencil grasp, writing can be an uncomfortable and a dreaded experience for the child. 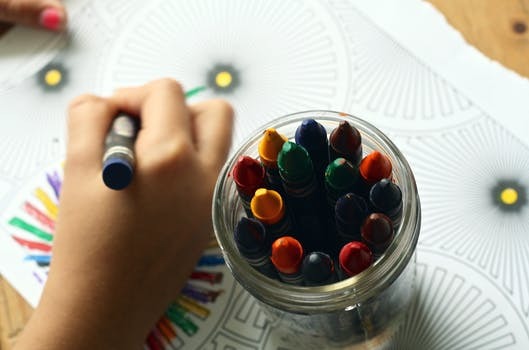 If a child holds their pencil too tightly, the muscles in their fingers and hands will tire quickly and become sore when writing over a period of time. If a child uses poor finger positioning on the pencil, the same problem can result. Does your child shake their hand after writing for a while? Do their knuckles and fingertips look red and taught? Is their writing illegible or does it get bigger and less controlled with writing? These are the things to look for when watching your child use a pencil. Here's a link with more information - http://www.drawyourworld.com/grip.html. If you would like further help to improve your child's pencil grasp, contact your local OT or talk to your school teacher.